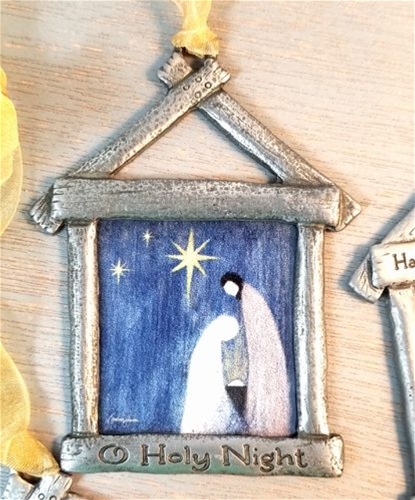 We at DiscountCatholicProducts.com are in love with these ornaments from Caroline Simas! 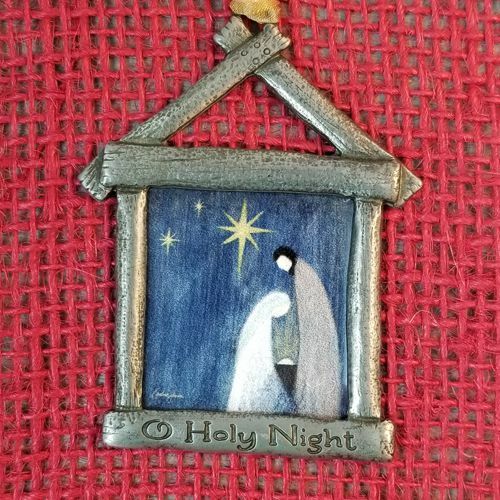 The first in the series, the Holy Family is depicted on this beautiful pewter ornament with gold ribbon. 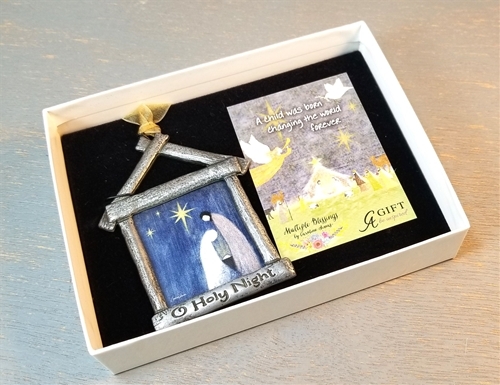 The colorful art depicts the Holy Family on Christmas night, overlooked by the star that will guide the shephers and wise men to the holy place. Beautifully crafted for an heirloom quality that will be passed down for generations to be shared with grandchildren for years to come. This will become on of your family's favorite ornaments that they look forward to adding to the tree every year.